I grew up at UW. My father was a professor, and I loved visiting him and walking the family dog across campus on weekends. In high school, I studied at Odegaard Library and attended Husky football games on the weekends. Even at a young age, I recognized that UW was an amazing community resource. The summer after freshman year in college, I enrolled in a UW Japanese language course. My mother and her family were among the Japanese-Americans forcibly relocated and interned during World War II. After the War my parents didn’t speak Japanese around the house, and as I grew older, I wanted to learn the language and more about my heritage. My mother’s experience and my resulting desire to prevent future injustices were also among my motivations for enrolling in law school. I have benefited from generous and inspiring mentors throughout my life and career, and hope I can serve that role for current UW students, particularly young women of color. I am grateful for this opportunity to give back and also pay it forward. 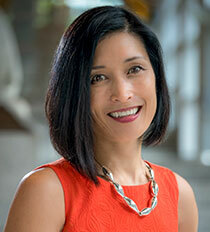 Mari Horita, ’94, is president and CEO of ArtsFund where she oversees operations, governance, fundraising, external relations and programs. She previously practiced commercial real estate law at Bogle & Gates, Dorsey & Whitney and K&L Gates. She is passionate about civic engagement and currently serves on: the Seattle Arts Commission, the Executive Committee of the Downtown Seattle Association, the Advisory Board for the Foster School’s Board Fellows Program, Seattle Art Fair Host Committee and the Private Sector Council for Americans for the Arts. Mari started Suzuki violin lessons at the age of six years and performed with the Seattle Youth Symphony, the Vancouver Academy of Music Orchestra and the Denver Philharmonic. She currently plays with Vina Musica String Quartet. UW encourages grass-roots activism and affecting change in the world.